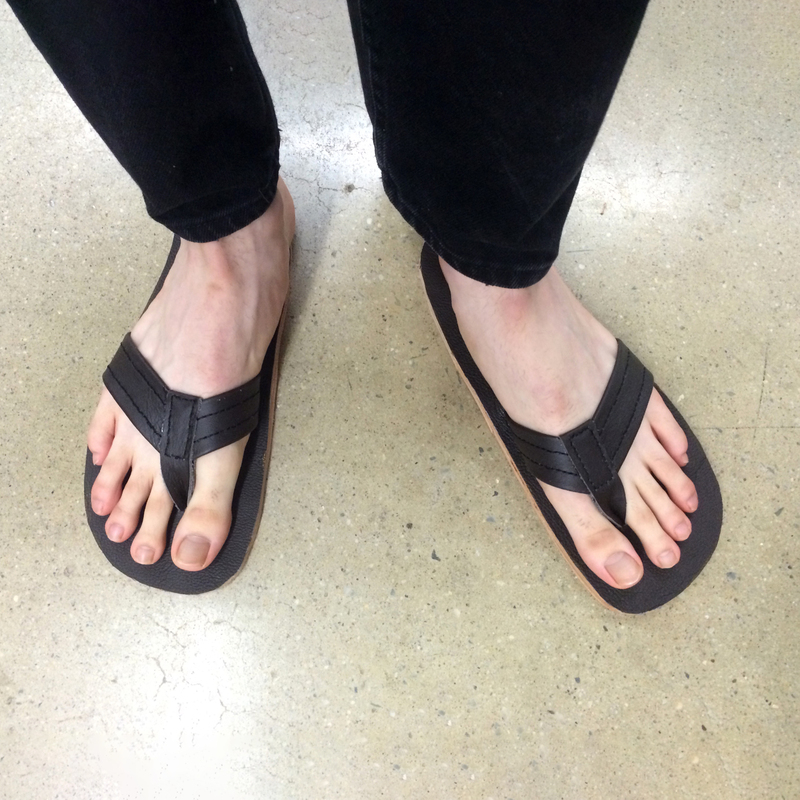 A quick weekend project to make a pair of leather sandals. 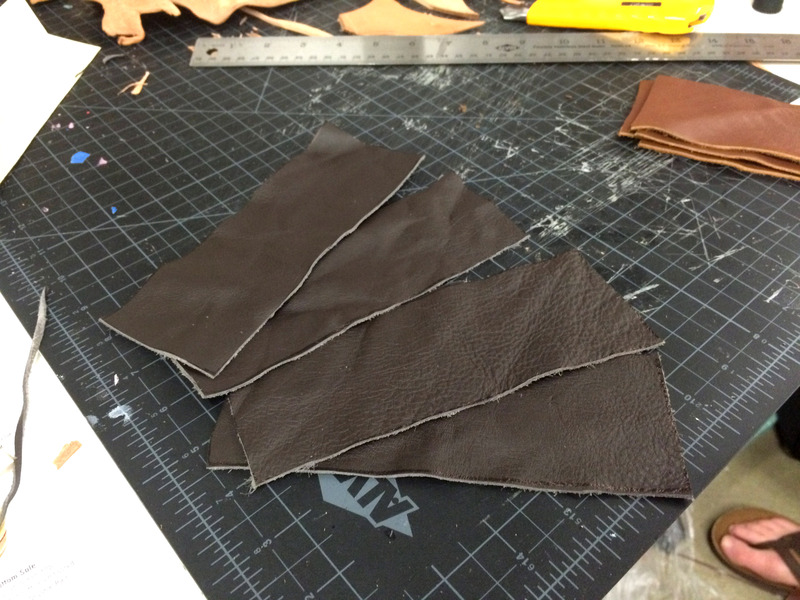 I used a thick raw-hide leather for the sole, and a softer top-grain leather for the upper and insole. This was my first time making footwear, and as such, it was a fun learning process. 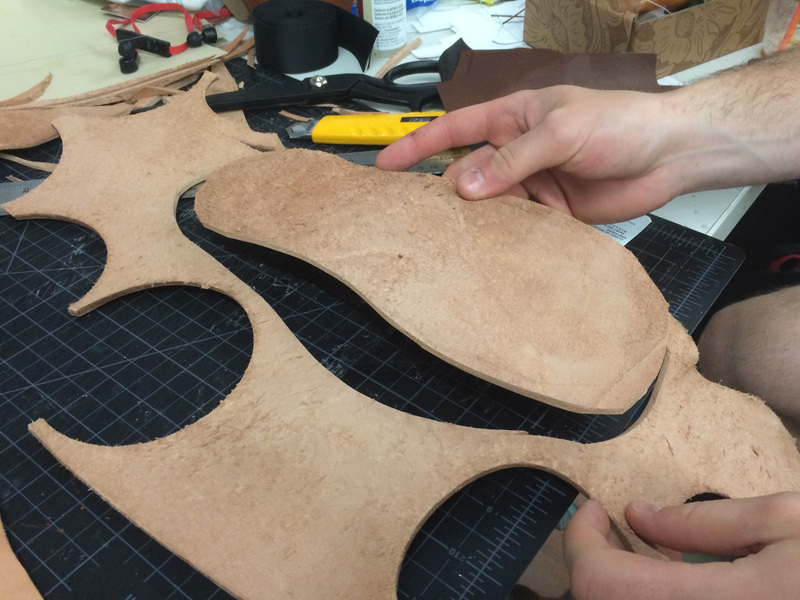 First, I traced my foot and cut out the sole from raw-hide. The upper was made of thinner strips of top-grain leather, folded over itself. 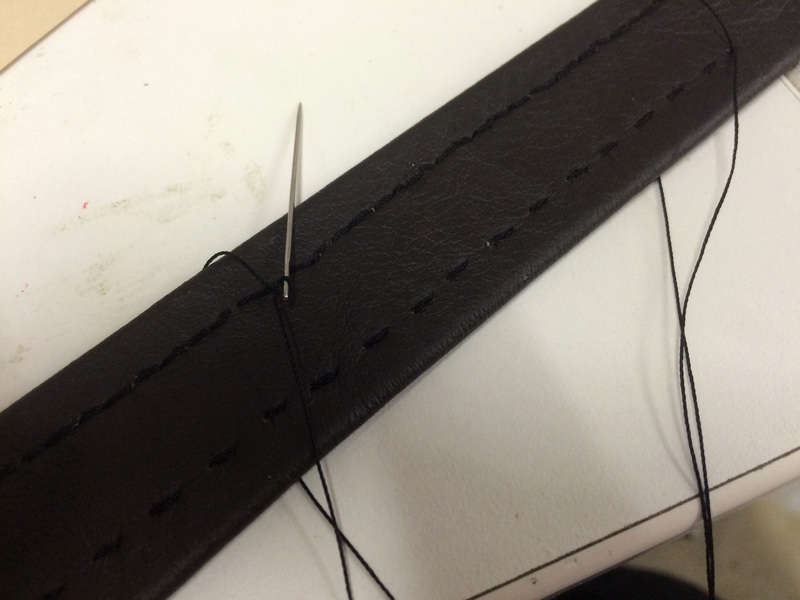 I punched holes into the leather with an awl and sewed it together with nylon thread. 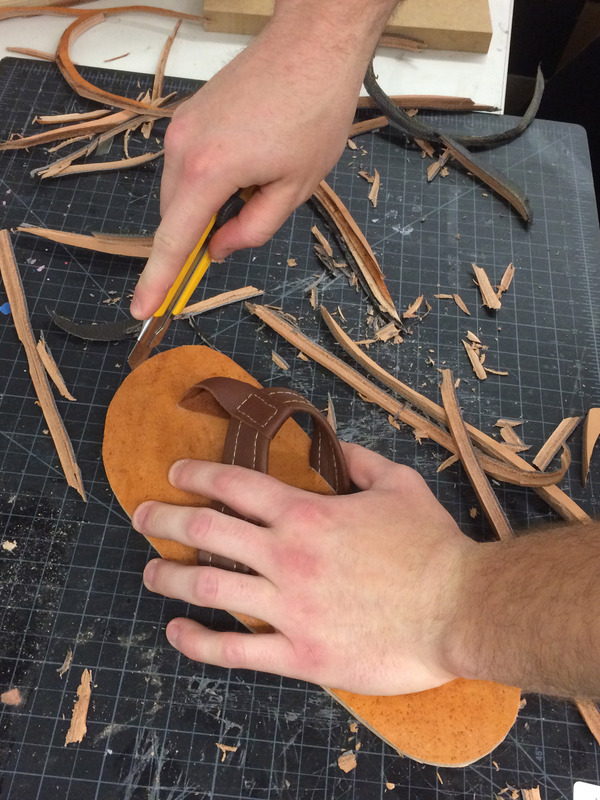 After cutting slits into the sole, I attached the upper and insole, and trimmed the edges of the sandal with a box cutter. 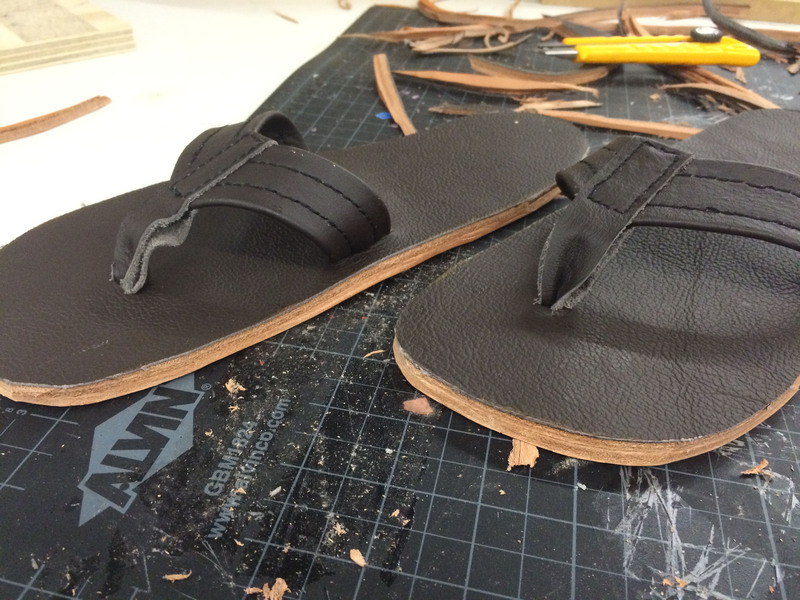 Learning to make a pair of sandals was a fun and rewarding weekend challenge. The end result is comfortable, lightweight, and personalized to my feet. Walking in your own shoes is a unique experience that I would recommend to anyone interested.